In this video we demonstrate how to make a simple and delicious spicy Thai seafood salad using local greens of your choice. In this case it's made with "crispy kana", the firm and crispy stalk of a local vegetable called Kana. Put your garlic and Thai chiles in a food processor or mortar and pestle, and grind together into a rough paste. 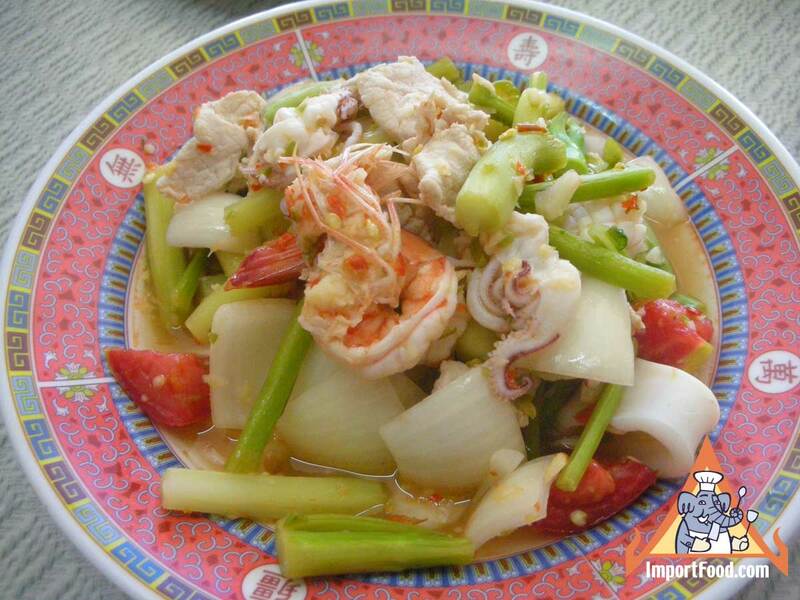 Add the paste to a bowl then mix well with fish sauce, lime juice and sugar, tasting as you add to adjust flavors. 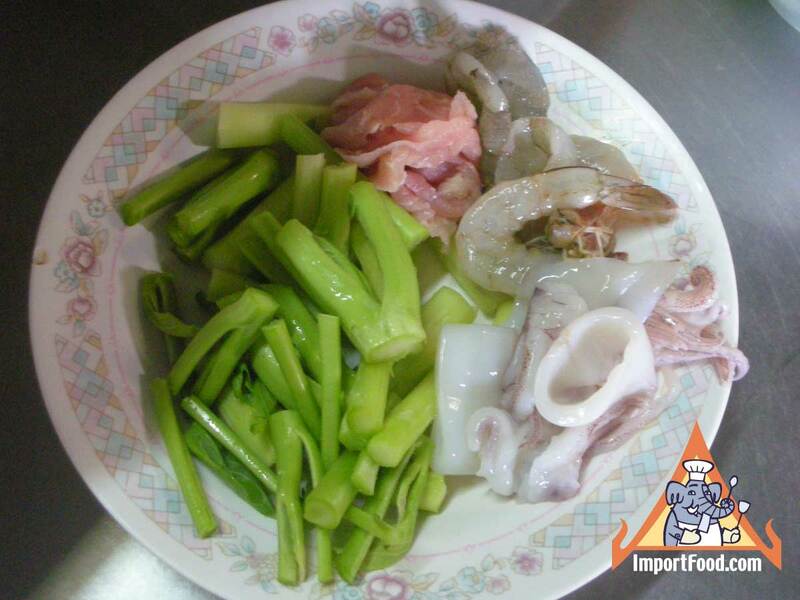 Then cook seafood and vegetables in boiling water as shown, strain, add to bowl and coat with the spicy sauce. Serve and enjoy with freshly steamed jasmine rice.